Shoefitr was created out of an observation that buying shoes online is a cumbersome process for all involved. Throughout the footwear industry, there is a lack of standardization in shoe sizing. This means that a person cannot order the same size shoe every time they purchase. If a shopper were to order their current size every time, he or she would be wrong nearly half the time. For this reason, one third of shoes bought online are returned. 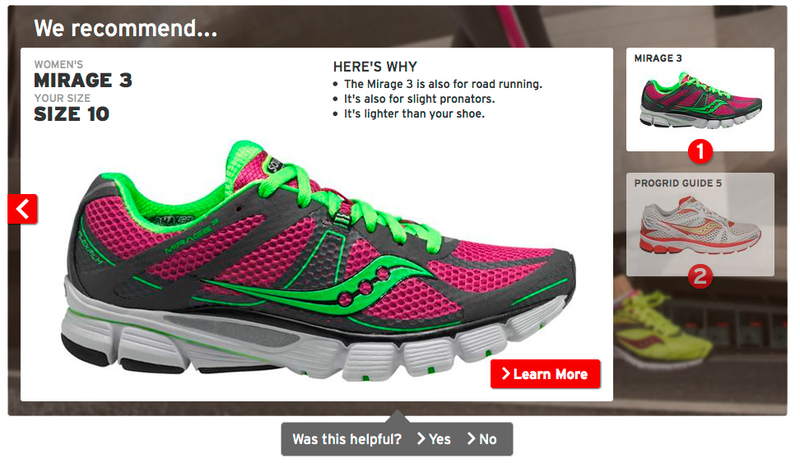 Shoefitr helps shoppers order the right size shoe the first time. I was brought on first as a user experience consultant during the early days of exploration as the cofounders worked to identify a method for understanding the inside volume of new shoes at scale. A custom hardware/software solution confirmed the suspicion that there is little standardization in shoe sizes. The problem was concrete - but how could we surface this information to help users make better decisions at the time they needed it? Armed with a process to understand the dimensions of the shoes people would like to buy, we created a method for users to help us understand not only the dimensions of their feet but also capture their preference for a shoe's ideal fit. This information allowed us to compare a shoe that a person wanted to buy to one they already knew and loved. This made for a better experience for the end user and a reduction in costly return shipping for the retailer. Shoefitr was acquired by Amazon in March of 2015.